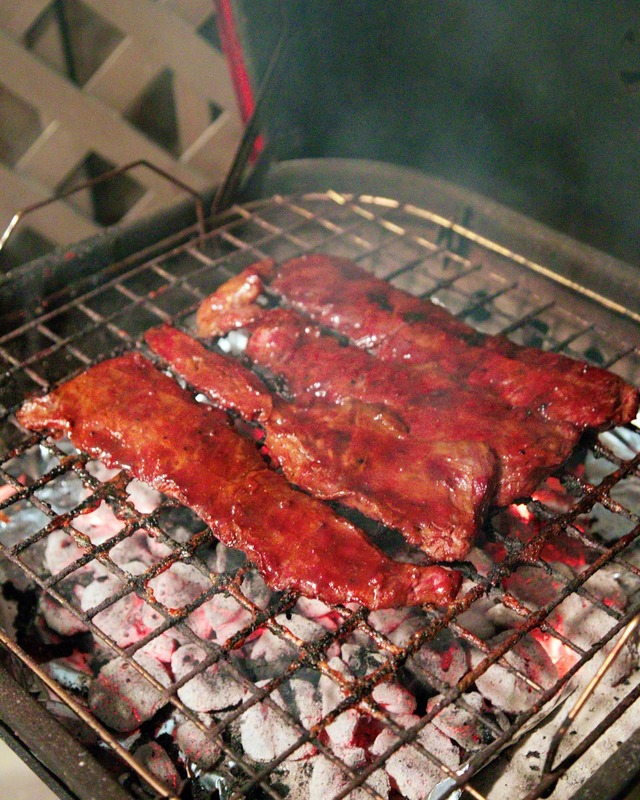 Skirt steak is one of our favorite cuts of meat to grill. It is inexpensive, super tender, and packed full of amazing flavor. We are always looking for new ways to prepare it. This molasses dijon marinade is super simple, and packs a ton of great flavor. I let the steak marinate overnight. I find it much easier to prep everything the night before and take it out when we are ready to grill. If you want to skip the overnight marinating, let the steak hang out in the marinade at least 2 hours. We always grill 2 pounds of skirt steak so we can eat leftovers. This was just as good reheated for lunch and dinner. 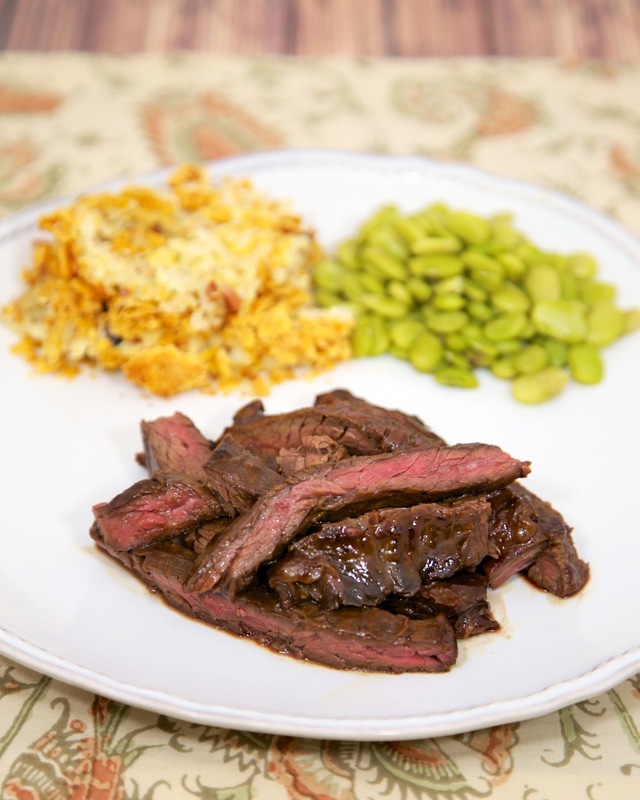 If you can't find skirt steak, this would also be great with flank steak. Whisk together molasses, dijon, garlic, Worcestershire and olive oil. Reserve 1/3 cup of mixture. Pour remaining molasses mixture over steak and let marinate in the refrigerator for 2 hours, up to overnight. Remove steak from marinade and grill to desired temperate, basting with reserved sauce. We love skirt steak too! I'm always looking for new ways to make it and this looks delicious! What is your preferred way to reheat steak? Bee - I reheat it in the microwave on 50% power. Awesome! Thanks! I don't know why I never thought of turning down the power. I got sick of reheating my steak and it turning out over cooked and chewy so I pretty much just use the leftovers in a salad. Oh my gosh, this looks too good! Could this be cooked in the oven? If so, about how long do you think, and what temp?